We’re not just a birthday place. We have many open events where your child can participate in imaginative play all through the year. From our everyday fun like Open Jump Time and Family Jump Night to our special events on popular holidays…we’re your kids’ favorite place! 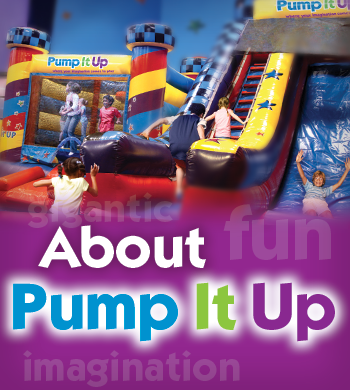 Pump It Up of Tucson has been open since November 2006. Ever since our grand opening, Pump It Up of Tucson has been providing a fun, safe, and clean environment for Tucson to enjoy! Bring your children to one of our weekly public events to burn off that after-school energy, or join us on the weekend to celebrate your extra-special event!